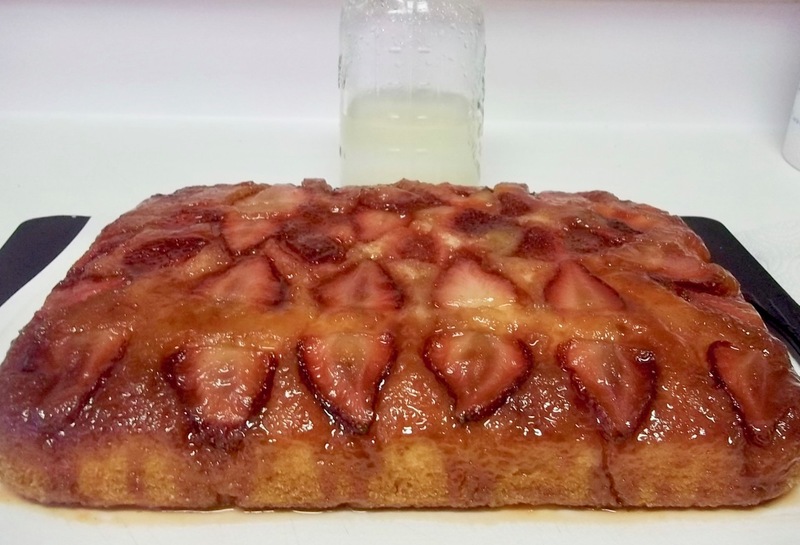 This yummy cake uses a Potato Flake Amish Friendship Bread Starter to create our Potato Flake Strawberry Upside Down Amish Friendship Bread Cake. Check out our Amish Friendship Bread Potato Flake Starter here! You can also use this starter to make Amish Friendship Bread and Rolls. 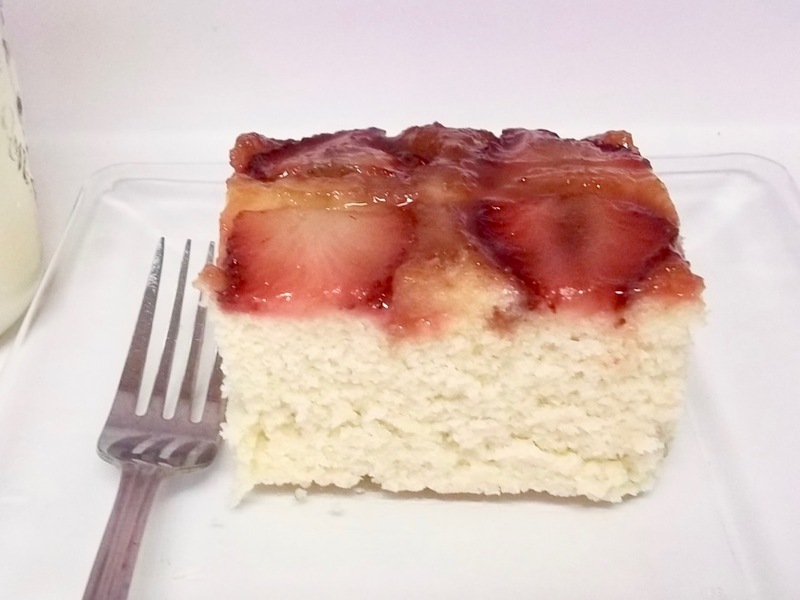 This yummy cake use a Potato Flake Amish Friendship Bread Starter to create our Potato Flake Strawberry Upside Down Amish Friendship Bread Cake. In a small bowl, mix together white and brown sugar; mashing up any brown sugar clumps. Use ¼ cup of the sugar mixture to coat the baking dish, including the sides. Set the rest aside. Layer the bottom of the baking dish with strawberries. Sprinkle the remaining sugar mixture over the strawberries. Pour melted butter evenly over the strawberries. In a large mixing bowl, cream together sugar and butter. Add egg, egg whites and vanilla, blend until smooth. Add potato flake starter and milk to the mixing bowl along with one cup of flour, stir. Add remaining flour, salt, and baking powder. Stir until completely blended. Batter will be slightly thick. Spread the cake batter evenly over the layered strawberries. Bake 40-45 minutes or until toothpick inserted into the center comes out clean. Let cake cool for 10 minutes. Place a large serving dish or cutting board over the top of the cake. Flip over, removing the baking dish. Cool. Cover lightly and store at room temperature.